In every endeavour including in the sporting arena it seems that the concept of equal opportunity will always be high in our consciousness. In the world of horse racing and breeding though, particularly on the racecourses of Europe, we have some way to go to give all our equine athletes equal opportunity regardless of their aptitude. There is no doubt that in today’s European racing scene, a stallion has to be strong on stamina to have any realistic chance of becoming champion sire. And that is not to belittle the great champion sires we have had recently, it’s merely to point out the obvious fact of the matter. The reverse is seemingly the case in Australia. In Britain in 2014 the average win prize-money for G1 races at 10 furlongs and above was considerably higher at £340,000 than that available to races short of that distance which averaged £204,000. In fact this bias goes all the way to the bottom of the class pyramid: All races at less than a mile in 2014 had on average win prize-money of £6,841, which is 39% less than the £11,151 available to winners at 12 furlongs and above. This advantage or disadvantage depending on your viewpoint is then compounded further when you factor in the numbers of horses competing, as shorter races tend to have more runners on average. We can see straight away that stallions that specialise in speed are at a huge disadvantage on the traditional leading sires list that use earnings as a barometer of success. Unfortunately, that bias runs to black-type as well. Short of a mile there was only one black-type race for every 238 starters in Britain in 2014, whereas at a mile-and-a-half and over there was a Stakes race for every 140 runners. In races from eight to ten furlongs the number was 177. But how does this reward structure shape the breeding industry? There has been much talk in Britain in recent times of the paucity of competition in our big middle-distance races and the reason commonly offered is the commercial market. In an era where breeders are predominantly sellers of yearlings, everyone, the story goes, wants to breed a fast-maturing speedy horse that will be popular with potential buyers. Even some of the former traditional owner-breeders such as Hascombe, who bred the Derby winner Golden Horn, are now well-established commercial studs. In 2014 there were 113 individual stallions that sired ten or more runners in Britain. Remarkably, only 14 posted an average winning distance of 11 furlongs or higher among their three-year-old and older stock. Significantly, this group contains Galileo, who together with his sire Sadler’s Wells, who would also belong to this group in previous years, are responsible for 21 of the past 26 sire championships in Britain and Ireland. 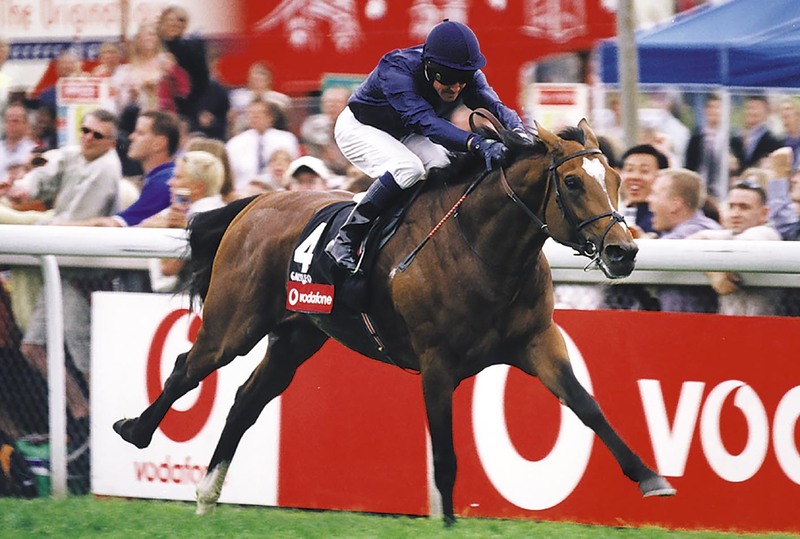 The five titles that did not fall to Galileo or his sire went to three stallions, Caerleon, Danehill (three titles) and Danehill Dancer, who proved capable of siring a top-class middle-distance horse. It’s worth breaking down the stallions of 2014 in distance groups along the lines of the world thoroughbred rankings. As we have already said 14 (12%) could be classified as ‘long’ sires, while 24 (21%) fall into the 9.5 to 10.5 furlong category. 31 (27%) stallions have stock with an average winning distances of around a mile, leaving the remaining 44 (40%) to be classified as sprint sires, those with a stamina index of less than a mile. So, 67% of all sires with ten or more runners in Britain in 2014 had a stamina index less than 9.5 furlongs where both earning potential and black-type opportunities are at their poorest. Go back ten years and the corresponding percentages were 7, 21, 24, 13 and 35. On the basis of these figures it is hard to argue that the number stallions in the staying sector is falling away. That said, because there are always relatively so few, the absence in any given year of top-flight runners by the likes of Galileo, Montjeu or Sadler’s Wells could create the impression of weakness. The irony is that it may well be necessary to continue to reward stayers disproportionately in order to ensure that breeders, yearling buyers and ultimately stallion studs continue to value the type of stallion that provides the racehorses we all want to see on the racecourses of Europe. These staying types have also got a great second-hand market in Australia.